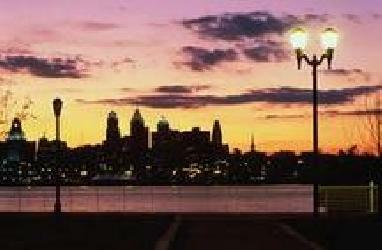 Philadelphia, PA: Declare Your Independence! No longer in the shadow of NYC, the City of Brotherly Love has emerged as an independent center with an outstanding dining scene, charming urban neighborhoods, and high art–with the history. Local Secret: “Philadelphia’s Dream Garden” is a 15-foot by 49-foot Tiffany glass mosaic that was designed by Maxfield Parish in 1916. (Some argue it is one of the most beautiful mosaics Tiffany ever created.) It is located in the lobby of the Curtis Publishing Company, the publisher of the Ladies Home Journal, and almost no one knows about it. Editor’s favorite watering hole: 32 Degrees is where the creme de la creme of Philly go to see and be seen. Treat your palate to this hip bar’s signature cocktail, the Green Ice, a sweet take on the apple martini, made from Bacardi Limon and apple Schnapps. The real deal: Locals know to go to Dalessandro’s Steaks when they are craving an honest cheesesteak. The rolls are dense and chewy, with the beef cooked on the fat-seasoned grill, which makes the steaks here so addictive. Where to blow a paycheck: Old City is filled with historic sites, lovebirds in horse-drawn carriages, and some of the best new boutiques in town. Hip shops Vagabond, ME Blue, and Rescue 138 offer fashions with an independent spirit, but are on pare with the upscale stores of Rodeo Drive and Soho. Chill-out spot: Relax on one of the 72 steps of the Philadelphia Museum of Art where movie buffs and art aficionados gather for inspiration, remembering a little film called “Rocky.” You can literally walk in Sly’s footsteps–a plaque in the sidewalk shows you the exact spot where the scene was filmed. Place we love, even if it’s touristy: Robert Indiana’s LOVE sculpture is located in John F. Kennedy Plaza, fondly known in the city as LOVE Park. This popular sculpture makes a great backdrop for photos, proposals and other affairs of the heart, and behind it is the beautiful tree-lined Benjamin Franklin Parkway. Off-the-beaten path: The Mutter Museum at the College of Physicians of Philadelphia is a truly odd and interesting museum that is not listed in mainstream publications. The collection includes vintage medical equipment and medical oddities like Siamese twins, a giant colon, the tumor of Grover Cleveland, and various skeletons, brains, and more.